We work very hard to make sure all of our patients and their families are comfortable and happy with their experience at Angle Orthodontics. We love to receive notes and letters from patients and parents letting us know our efforts are appreciated! Below are just some of our recent kudos. We want to hear from you! We hope that every family LOVES us but no matter if your comment is praise or suggestions for how we can improve, we ask that you let us know how we’re doing. Fill our our contact form, give us a call, or stop in! My daughter has been going to Angle Orthodontics for almost a year. Every time I come in for her next visit, I leave with a smile on my face. I'm surprised at how quickly her appointments are. I only have to wait 15 minutes or so, I am used to waiting a minimum of 30 minutes to an hour or more at other doctor's offices. When we walk in we barely have time to sit before she is called back for her visit. Angle Orthodontics has been doing an amazing job. I leave with the feeling that my time is actually important to them. All the assistants are really nice, they also make fresh cookies every day for all of their patients. Every time I arrive the cookies are still warm. 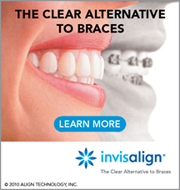 Angle Orthodontics is the best place to get your braces! I am very pleased with my Invisalign treatment. It has been easy to get used to, and I have been able to see the changes in the alignment of my teeth well within the first few weeks. Additionally, the Invisalign aligners are hardly visible and many colleagues have been surprised to know that I am wearing them. I had excellent care and service. I highly recommend Angle Orthodontics to everyone that needs treatment. Our family loves Dr. Angle and her staff. From the moment we stepped in their office they have always been courteous and kind. Both of our sons needed braces at the same time and the office has been more than accommodating about making my children's appointments at the same time. We are very happy that we have become members of the Angle Orthodontics "family." Dr. Angle's office is like a home, I always feel so warm and welcomed when I get there! Every time my daughter has a new appointment, she can't wait to go back in the office to get new colored bands. Angle Orthodontics has made such a huge difference in my daughter's smile!